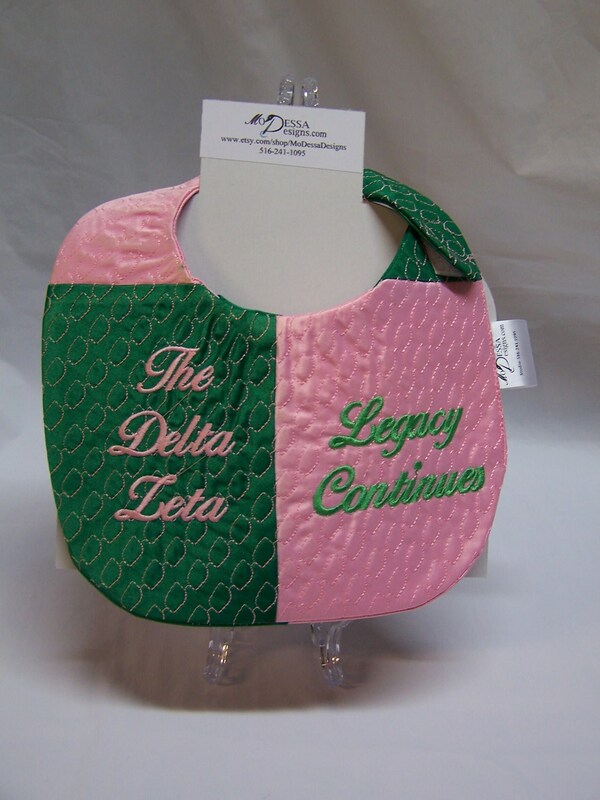 Color Blocked Embroidered with your "(Organization Name)/Legacy Continues" on one side of bib. The reverse side is plain color blocked satin. 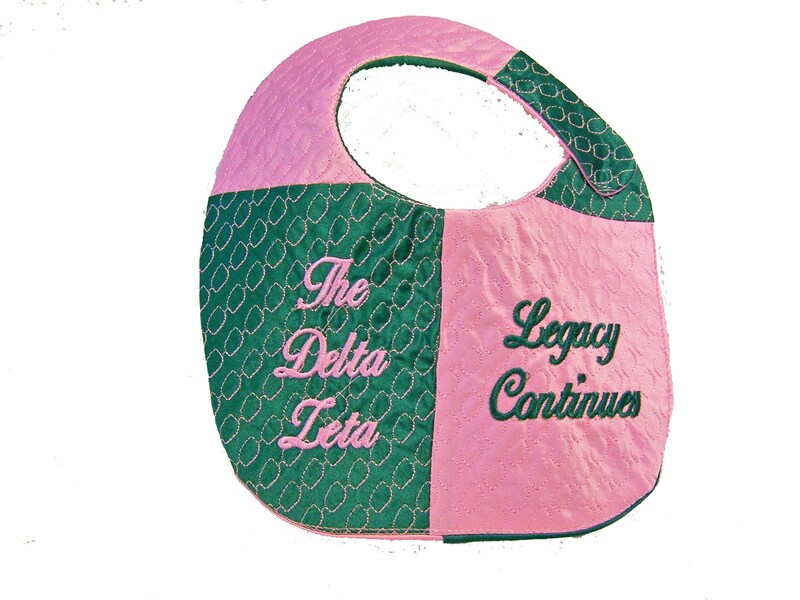 Perfect New Baby, Baby Shower, Sorority/Organization Pride gift. Perfect for dress up photos. 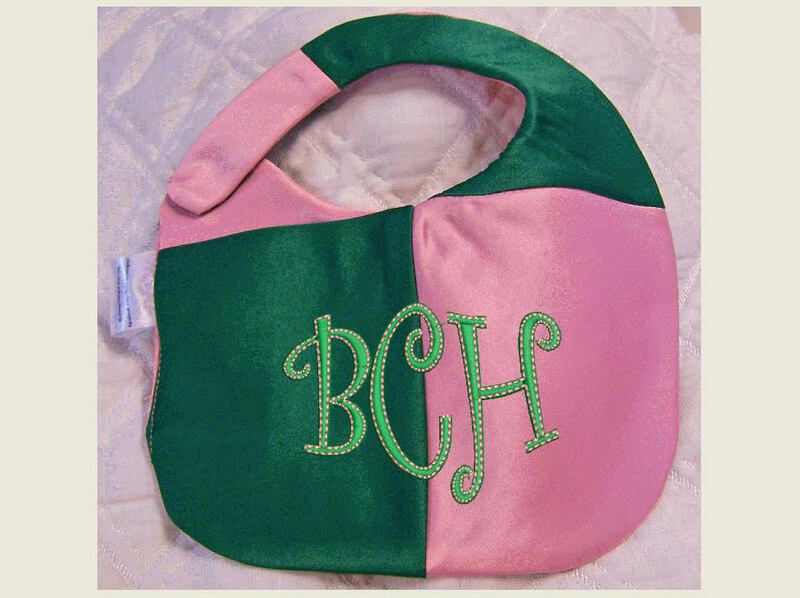 Can be monogrammed with name or initials instead of organization name. 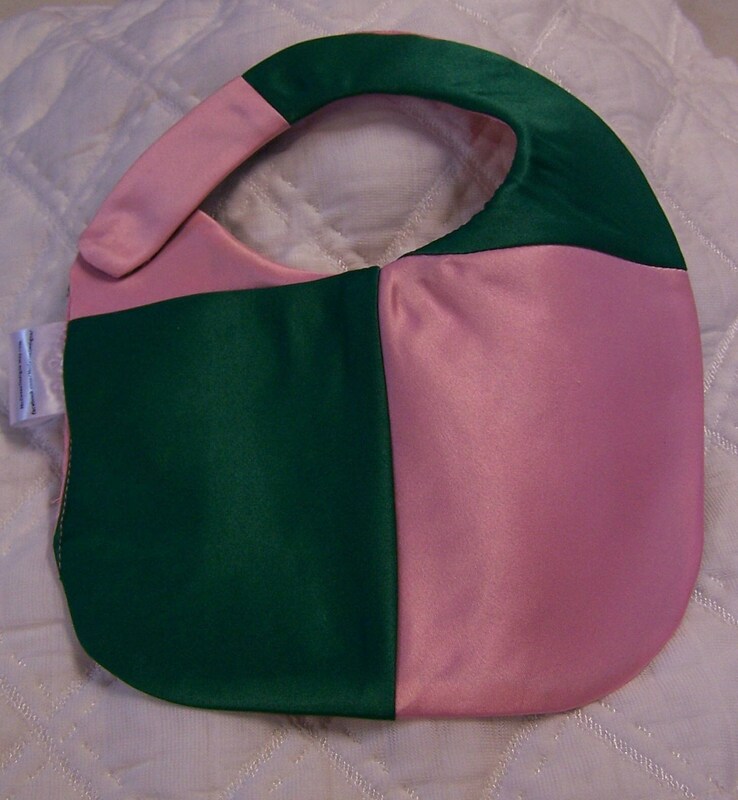 Sold as single bib or set of two. Embroidery will be the same on all. 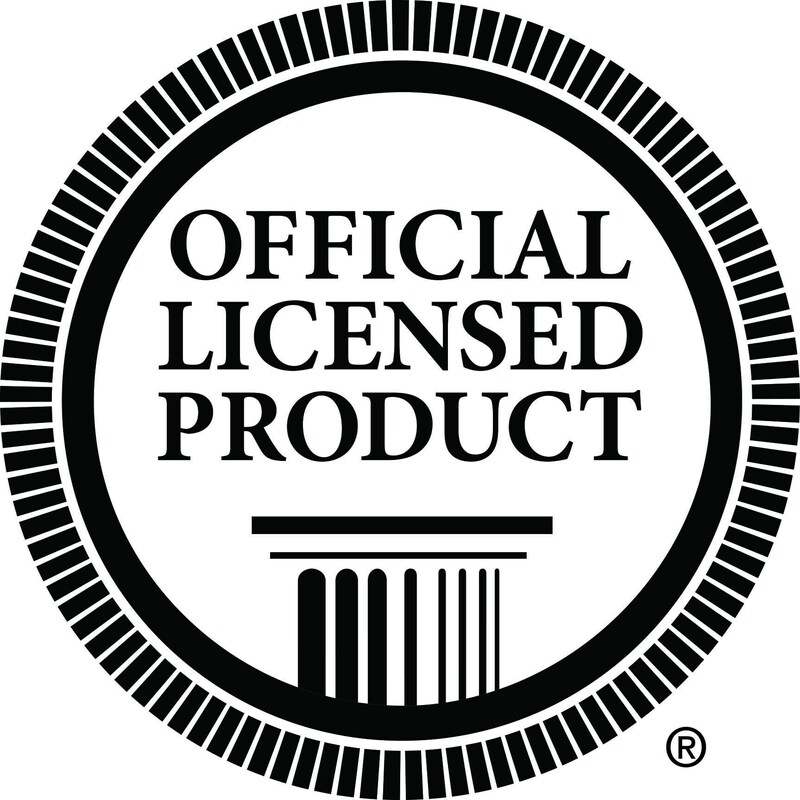 Please send your custom embroidery needs re organization and thread color in the "Notes to Seller" section of check out. Please allow up to 4 business days for production.